It seems that almost daily new databases are becoming available at www.familysearch.org that will be a benefit to those researching their Jewish ancestors. One of the new databases should be very helpful to those whose families settled in the state of Texas. 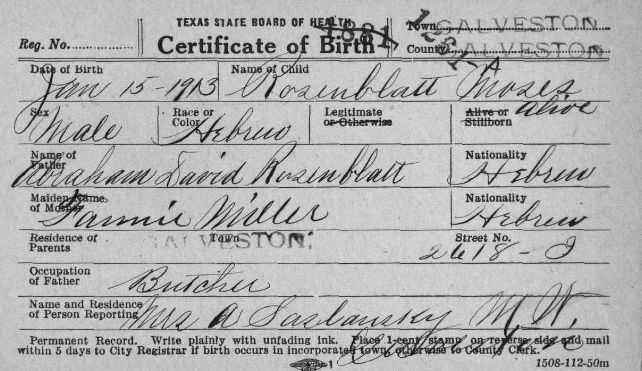 Texas, Birth Certificates, 1903-1935 is now available in the Historical Collections of FamilySearch. So many of our Jewish ancestors entered the United States through the Port of Galveston and then made their homes in Texas. This database is not only name searchable but also includes the original images. 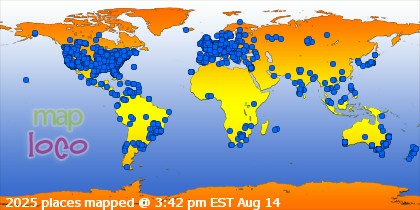 As of now it has over 1.5 million images and 3.1 million records. Those numbers will continue to grow as the records are added to. When you search by name, a transcription of the original certificate is made available. 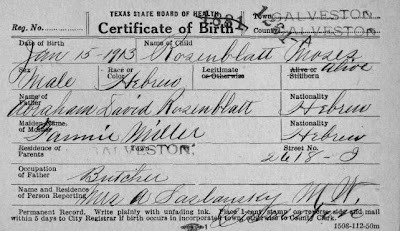 The record below is the transcription for the 1913 birth of Moses Rosenblatt. The transcription gives the majority of the information including names of the parents and date and place of birth. However, if you click on the view image tab, you may find additional information. For this entry the original does indeed add more details. We now know the father was a butcher and both parents are identified as being Hebrew. It should be noted that since this database contains records from many different jurisdictions not all the records look the same or provide the same information. 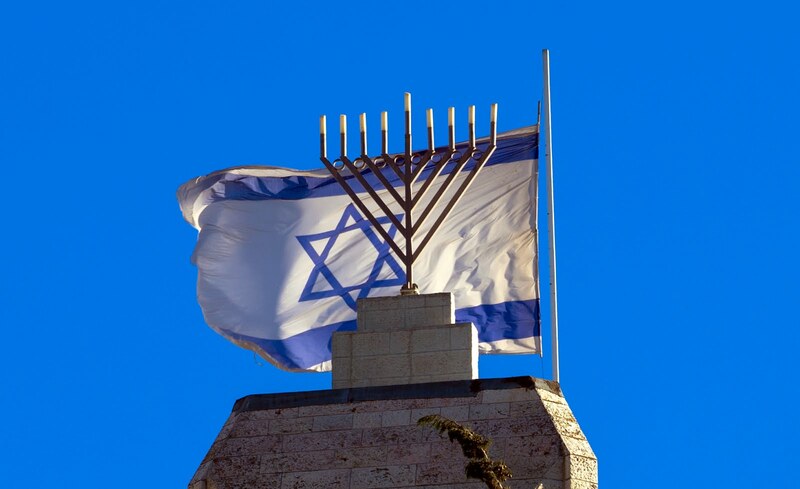 Regardless, it can be a very useful tool for Texas Jewish families.